BJ:”In “Photobomb” (2016), one of your largest paintings to date, you employ lateral slices of the same reality occurring simultaneously. 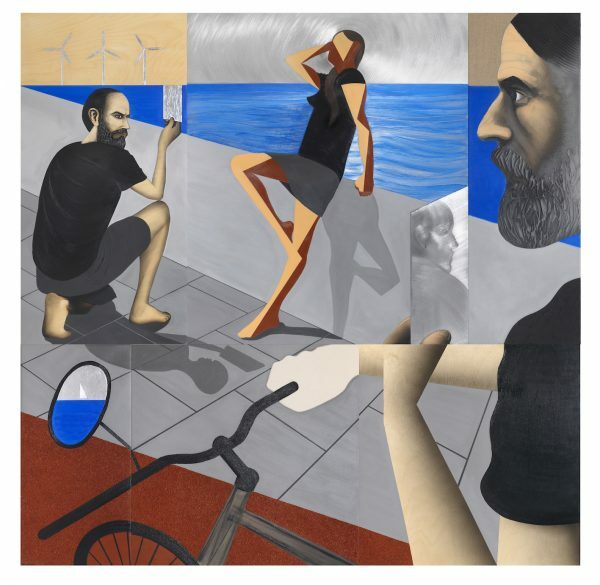 It’s a fascinating conundrum of a painting featuring two self-portraits, two phone screens and a mirror and what a printed reproduction might not convey is that it’s six separate pictures painted, sculpted, printed in multiple different media. What was the starting point for this complex spatiotemporal interlacing?